UPDATE. A few quick snapshots of something red hot. This vest by the leather making dream team VEDA is just about the spiciest thing hanging in my closet right now. Sometimes one forgets the power of red and all the different meanings it signifies for different people. Right now, red is making me feel like the coolest kid on the block. Just as much as a bright red lip makes me feel like I make the boys fall head over heels for me. HA. I really can't help it. Love your vest, red is an amazing colour. LOVE that vest! that red is stunning! 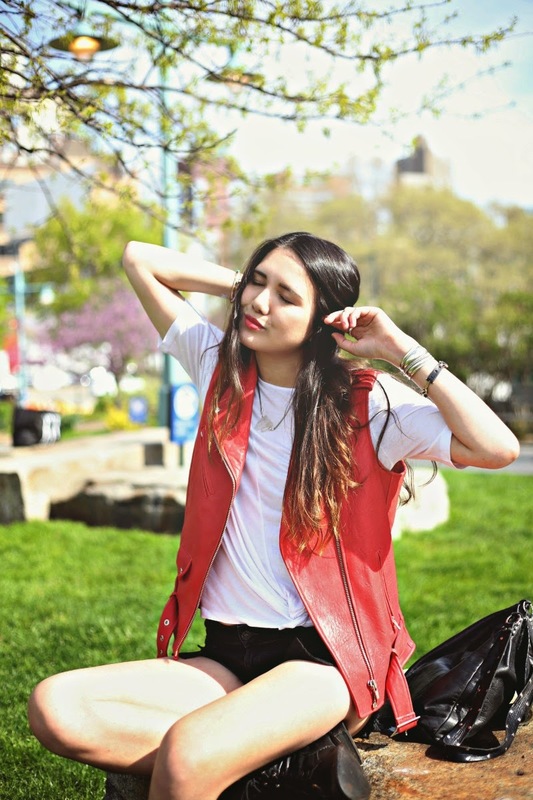 I need this red VEST! It looks like you've been busy creating wonderful things. It's always a treat to stop by your blog. Such a cool vest! Red looks great on you! What is the lipstick you are wearing? Love how it matches the leather red so well!